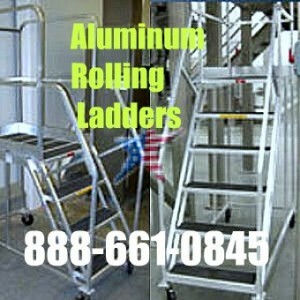 Aluminum Rolling Ladders are light weight and Corrosion Resistant. 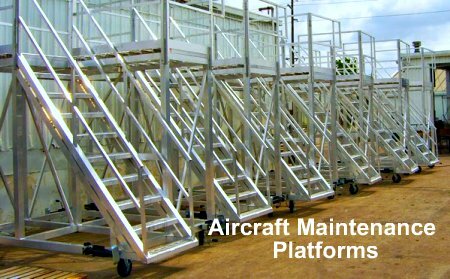 We build Aluminum Walk Ways, Work Platforms, Industrial Stairs and Cantilevers. 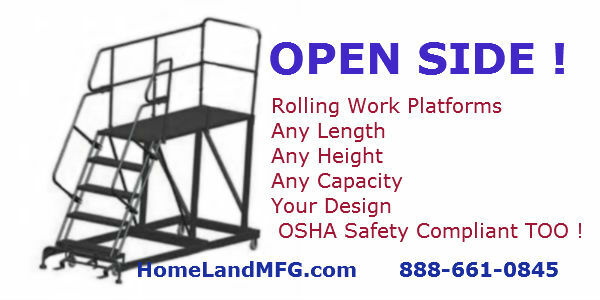 Aluminum Rolling Ladders do the same job as our standard Rolling Steel Safety Ladder. 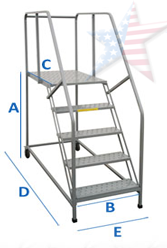 We offer these Rolling Ladders as a lighter weight, corrosion resistant version of our popular Commercial Ladders. 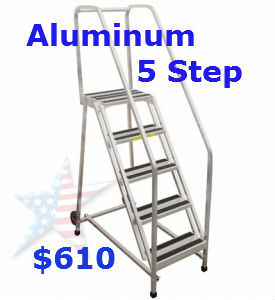 These Aluminum Rolling Safety Ladders Have a 'Step Lock' and 'Arm Bar' Release. 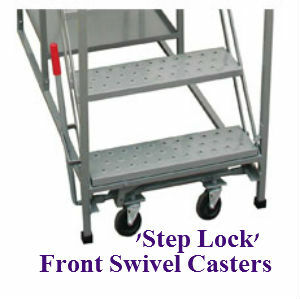 The shorter models have 'spring loaded' casters. 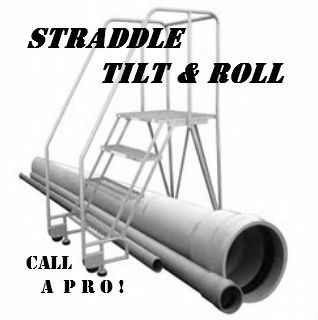 These ladders can also be a 'tilt roll' design. 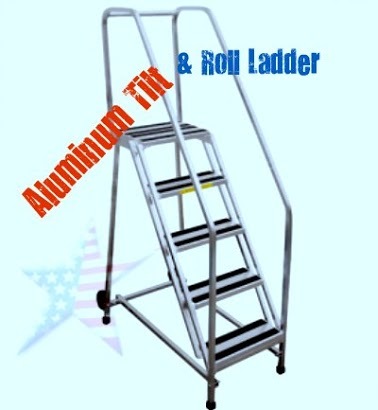 ROLLING ALUMINUM LADDER are the lightweight version of our TILT & ROLL LADDER. Because of the aluminum light weight & corrosion resistance these ladders are used in adverse conditions and in clean environments. The grip tape treads are standard, but we can also design them with serrated treads for an even more safe surface. 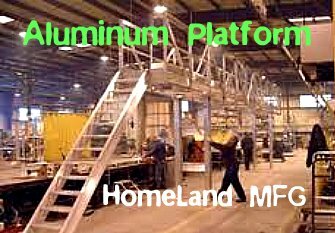 We can build Aluminum roof platforms and cantilevers. 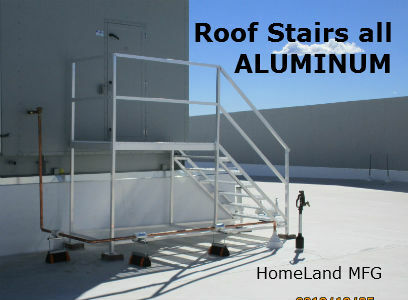 Aluminum, all-welded roof deck platform. 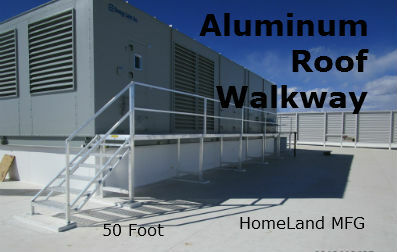 Huge Aluminum Walkway was constructed in sections for easier assembly at roof top job site. 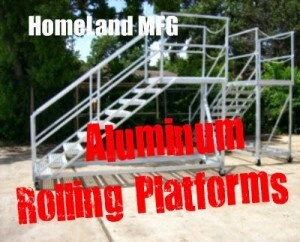 Custom Aluminum Platform. You Design it-We Can Build It!